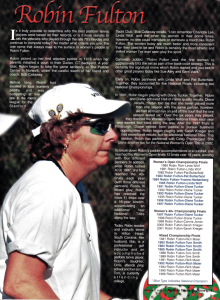 Fulton earned her place in the Hall of Fame through a string of outstanding on-court performances in the 1980s and 1990s, winning the Women's Nationals seven times and the Mixed four times. Robin was the driving force behind the establishment of the highly successful “Viking Cup," a regionally conducted adult-child competition aimed at promoting both the game and sportsmanship to the next generation of younger players. 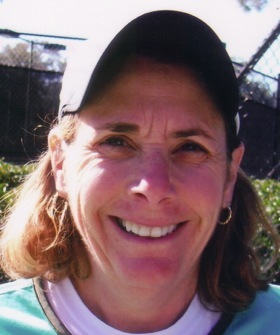 A strong all-around athlete, Robin Rich Fulton earned her place in the Hall of Fame through a string of outstanding on-court performances in the 1980s and 1990s. 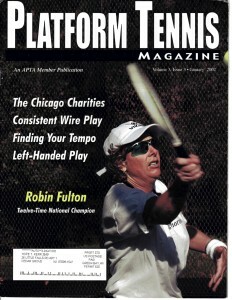 After three runner-up performances in the Women’s Nationals in 1980, 1981, and 1982, Fulton went on to win the event seven times—with four different partners—between 1983 and 1997, and was a finalist in 1992 and 1995. In the mixed doubles, she was National Champion four times between 1983 and 1992, and a finalist seven times from 1981-1996. On joining the ‘Senior’ ranks, she won the women’s 40+ Nationals in 1997 and 2002, and was a finalist in that event for the last four years. All totaled, she holds a total of 12 national championships. Robin was also the driving force behind the establishment of the highly successful “Viking Cup,” a regionally conducted adult-child competition aimed at promoting both the game and sportsmanship to the next generation of younger players. Fulton grew up with platform, since her parents had a court installed on their property. But, she had other sporting interests as well. In tennis, she was nationally ranked in singles in the 12-and-under class and, as a student at Low-Heywood School in Stamford, CT, was New England’s top-ranked 18-and-under in doubles. She was also a standout field hockey, soccer and basketball player. Robin continued playing tennis at Elmira College, where she was ranked number one, before transferring to Springfield College (MA), where she won the Massachusetts State doubles crown. 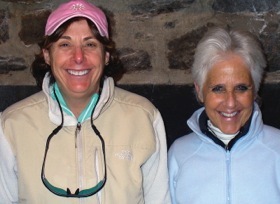 Along the way she realized she was “good, but not good enough to make a living as a tennis pro” and she started getting more involved in paddle, with encouragement from her husband and tournament partner, Gail Callaway. When Fulton burst onto the platform tennis scene in the early 1980′s, it was clear that she would be a major force in shaping the future of the women’s game. Her classic ground strokes, quick hands, and spin serve were unsurpassed. She was a power player, aggressive and known for going for any shot, including her partner’s. As part of a crowd watching her play, one often heard someone say “Wow, she plays like a man!” But, in reality, many men watching her wished they could play like she did. However, making a living in the game was difficult and, despite being ranked number one in 1980, she made just $4,000. “Right now, I can afford to buy a hamburger per week on what I earn,” she was quoted as saying. Aside from her outstanding playing record, Robin was an untiring supporter and promoter of the game. She was very unassuming, always approachable, and willing to share her knowledge, and spent endless hours conducting clinics at various locations throughout the country. Participants described these clinics as not only informative, but fun.